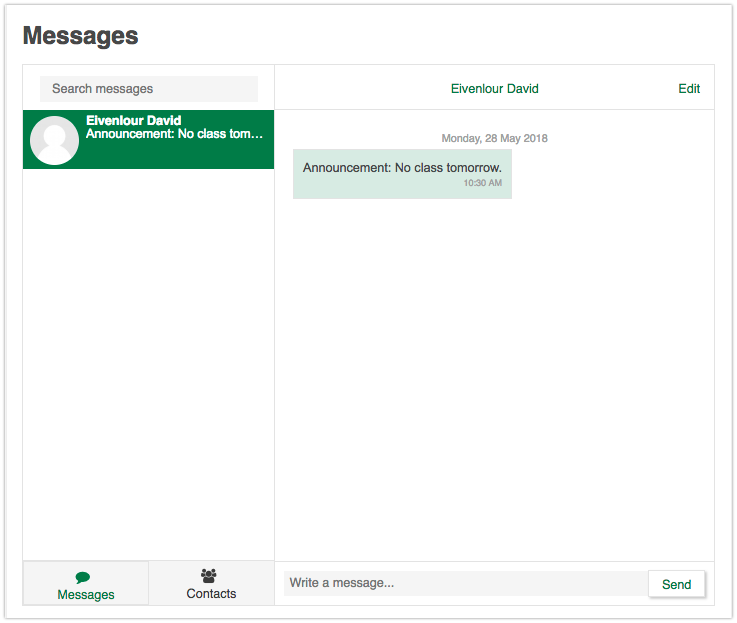 To send messages to your entire class, you have two options within eClass: (1) posting in the built-in Announcements Forum, or (2) sending eClass messages (similar to SMS) to course participants. 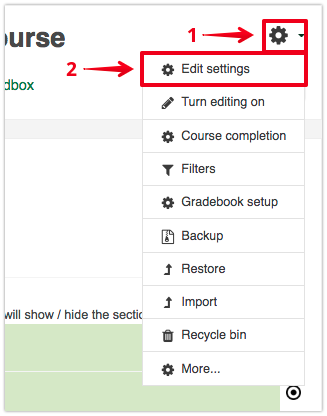 You can also message your students outside eClass using the options described in the article Alternatives to Emailing Students through Course Announcements. Sending messages via the built-in Announcements forum is the preferred method to communicate all course related matters with your students. Posting important information relevant to the course using this tool keeps a running list of all your important communication to your students. In addition, unless the student explicitly turns off email notifications, the forum will send email notifications to all student's ualberta email accounts. Note: If you do not see the Announcements forum in your course, you may need to re-enable it using the following instructions: Missing the Course Announcements Forum. The Announcements forum can be used as a way to post news and messages for the class as a whole. The Announcements forum differs from other types of forums in that only teachers and other administrators can post in the forum. Furthermore, unless they make a specific change to their own settings, students will receive a forwarded email message to their ualberta gmail account for any message posted to the forum. In addition, recent posts to this forum will also be displayed to students in the 'Announcements' block, whereas posts from other forum types will not. To post an announcement in the Announcements forum, you can either click on the Announcements forum activity on your main course page or on the Add a new topic link at the top of the 'Announcements' block. 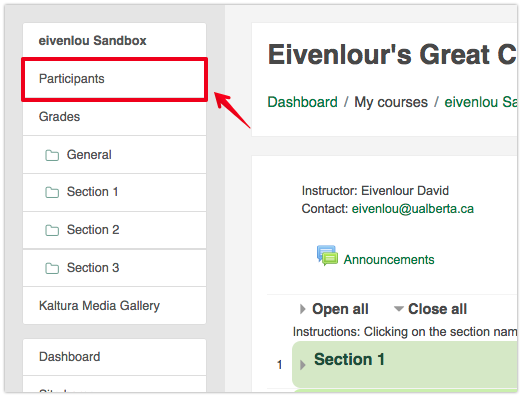 If you would like to change the number of Announcements items that appear in the 'Announcements' block on the course page, click on the gear icon on your course main page, then on Edit settings. Then, navigate to the Appearance category and change the value for Announcements items to show to the desired value. Save changes. You can also use the system messaging tool and your course Participants list to send messages to your entire class. This method is not preferred because these messages are not contained within your course environment; instead, messages are available through a student’s user profile. As such, if a student receives regular messages from many users over the course of the term, important course announcements can become lost amongst the other messages a student has received. In addition, the messaging interface makes it confusing to view a message history between you and a particular student. For this reason, bulk messaging of students should happen in the Announcements forum and the messaging tool should be preserved for those cases where student contact on an individual basis needs to be made. To send SMS-like messages to all students in your course, click on Participants in the navigation panel. A page will open that lists all participants in the course, with a column of check-boxes to the left-hand side. Below the participants listing, click on Select all, and choose Send a message from the ‘With selected users...’ dropdown menu. A new page will open, entitled 'Send message to x people' - enter your message into the editor, and click Send message to x people when done. 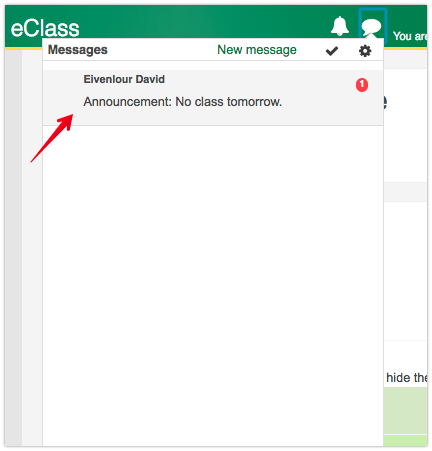 New in 2018: When your students log in to eClass, a red alert badge will appear on top of the Messages icon in the very top of their browser window, indicating that they have a new message. Students will need to click on the Messages icon, and select the message that they want to open. All messages sent in eClass are also copied to the receiver's University of Alberta email account, so long as they have not disabled this feature in their messaging settings. You can control how different message notifications get sent by eClass by clicking on Preferences under your profile drop down at the top right of the page and selecting Message preferences under User account. When you receive a message notification to your email account, you can reply to the email directly (which will move the message thread out of eClass and into your ualberta mail system and the conversation will continue by email) or log into eClass to reply (which will keep the conversation inside of eClass).